If you’re shopping for the best possible Muay Thai gear, then you shop for Fairtex gear. Whilst there are plenty of dedicated Muay Thai brands available, all of them pale in comparison to premium quality equipment that Fairtex produce. They’re also one of the rare companies that have been able to release exceptional MMA based gear as a Muay Thai based brand. Their MMA gloves were so good that they were even the official fight glove for the Strikeforce MMA promotion for many years. Most Muay Thai gloves are smaller and more compact than Western boxing gloves. Muay Thai gloves generally have a shorter cuff and the glove itself tends to look smaller than the gloves that you would see being used in a dedicated, old-school boxing gym. Fairtex boxing gloves are the same except that they manage to provide superior padding and support into that smaller glove. The smaller, low-profile glove means that it is superior to boxing gloves when used with MMA sparring. The shorter cuff of Muay Thai gloves is deliberate so as to make it easier for fighters to work the clinch. As you can imagine, this means it allows you to mix up striking and grappling easier than a normal boxing glove would. As Fairtex have been going for a long, long time, they have released excellent glove after glove. Any of their gloves would be an excellent addition to your training gear but some are even better than the rest. Below we have picked out what we believe to be the truly exceptional Fairtex Muay Thai boxing gloves. The BGV1 is a great all-rounder boxing glove. You can use this glove to train Muay Thai, MMA and Boxing to great effect. No having to constantly changes gloves as you switch between specific focuses and disciplines. You can choose from four different sizes/weights; 10oz, 12oz, 14oz and 16oz and Fairtex claims that this glove has a tighter fit than that of their competitors. It’s best to choose the 16oz if you plan on doing heavy sparring or have particularly big hands and only vie for the lower weights if you’re either smaller, female or plan on using the gloves for bag-work/non-contact sparring. 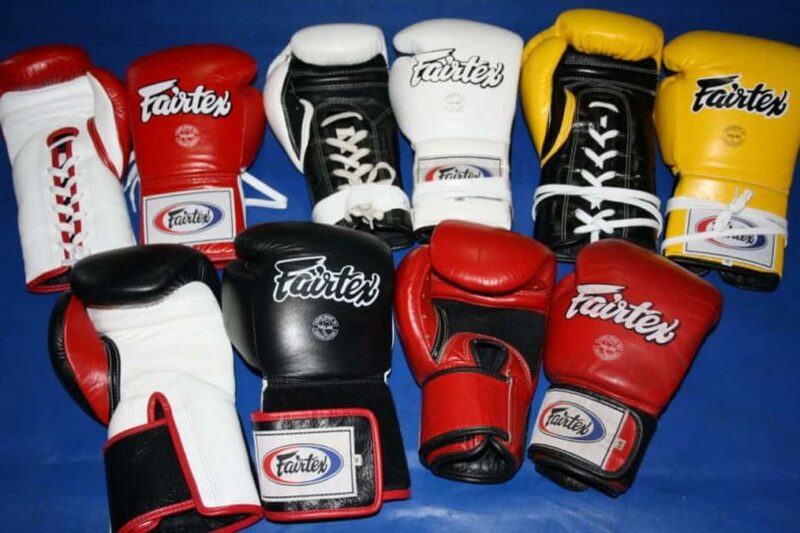 Fairtex offer a wide variety of over ten design choices, including solid colours like black, white and red, etc. But there is also a nice dark cloud design as well as flag designs for different countries. Each glove is handmade in Thailand, the homeland of Muay Thai. You can expect each and every glove to have been made with exceptional care, grace and knowledge by Fairtex’s master craftsman. Fairtex are known for having strict quality control and regulations so each glove is as good as can be. There is a solid grip bar inside the glove that you can clench tightly when striking. This allows you to better make a fist inside the glove as well as preventing your hands from taking damage and accruing injuries. Despite the tighter fit, you should be able to wear your corresponding weight and size with hand-wraps and still be comfortable. If you’re after a more Thai style glove to focus on Muay Thai over MMA then these are the gloves for you. Though be aware that you can still use these gloves to excellent effect for both boxing and MMA as well. Thai Style means that the gloves are even more compact and feature an even shorter cuff. Through all of this, the glove still provides excellent support and security for your hands and will keep your wrists safe when striking. With these gloves coupled with adequate hand-wrapping, you shouldn’t have any wrist issues at all. You’ll be able to work your Thai clinch far more effectively with these gloves rather than boxing gloves. Try them out during sparring against someone using traditional gloves and see how effortless it is to control their head, destabilise them and then deliver a variety of punishing strikes. Fighting Thai style is hard work. If you’ve ever been to Thailand to train Muay Thai, you’ll know firsthand just how hard the Thai trainers push you and tax your equipment. These Fairtex gloves have been crafted with that brutal use in mind so know that they can hold up to whatever you throw at them. You can batter the pads and the banana bags every day without a single crack appearing on the top grain leather. These gloves come in weights starting from 10oz up to 16oz, so you have gloves to suit any need you have, including professional competition. People who weigh over 250 pounds have claimed that they can fit quite easily into the 16oz so there shouldn’t be any issues with the sizes. Like many other Fairtex products, there are an abundance of different colours and styles for you to choose from. With the wide variety of designs, you’re bound to find something that you really like and resonate with. With their extreme durability, you’ll be using these gloves for a long, long time so it’s worth taking the time to really pick an aesthetic that fits you personally. Fairtex also offer an 18oz size for those larger trainers with bigger hands or for those natural heavy-hitters who have extra care and concern for the well-being of their training partners. Though the gloves start at 12oz so almost anyone will be able to find their ideal fit. The build quality is of the highest importance when Fairtex design their gloves so you can have confidence that you can thrash these gloves without them breaking on you mid-round. Many people say that Fairtex gloves are especially soft and cozy once they’re worn in, so you can train hard with your hands in relative comfort. These are also a great choice for fighters who like to have a good pop in their strikes when they’re hammering the heavy bags. Like with most Fairtex gloves, you can enjoy a far more effective Thai clinch game just by using these over other gloves. 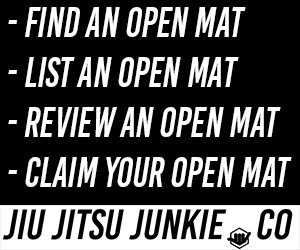 Their lower profile also makes them ideal for full-contact MMA sparring with clinching and takedowns.